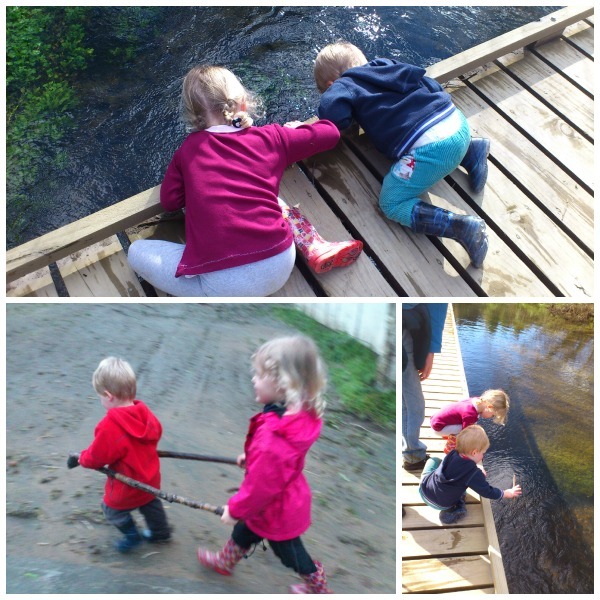 Its been a wee bit quiet here on the blog recently. Partly I think that I am going into winter hibernation- its cold in my sewing room and I can't face the thought of going in there. Luckily there are lots of creative pursuits that can be followed without entering the sewing room. I've been keeping myself busy with two things- some knitting (more on that soon) and designing some more paper pieced blocks. As you may have already guessed if you follow me on instagram, I am working on a series of New Zealand Native Birds. One of the best things about living in New Zealand is the amazing birdlife. Each species of bird has such amazing personalities that its almost impossible not to grow fond of them. My kiwi and the pukeko patterns are already available in my Craftsy store. 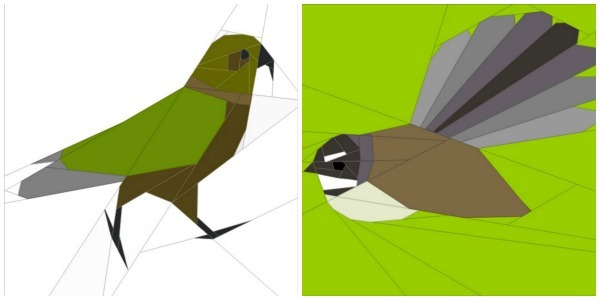 Now I am adding a friendly piwakawaka (fantail) and a cheeky kea (NZ alpine parrot) to the mix. So far, I've only sewn the Kea, I love the way it turned out and can't wait to turn my hand to the fantail next. Both of these patterns still need to be tested and I haven't emailed my usual pattern testers yet, so if you are itching to be one of the first people to make one of these patterns up then give me a shout (email me or comment on this post) and I'll choose a couple of people. 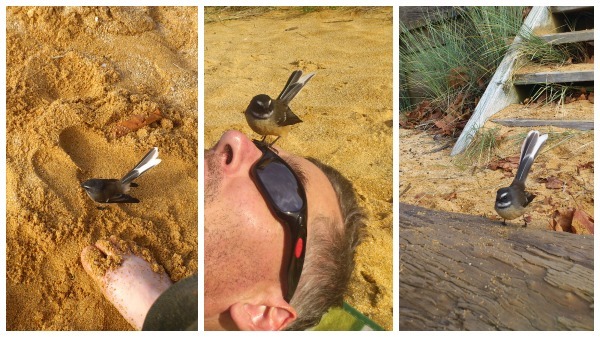 Here's a reminder why my children love fantails- such friendly, curious birds! I'm thinking that I might make a series of six New Zealand native bird patterns. Hmmmm... I can see this project growing- can't you?! I'm joining in with WIP Wednesday for the first time in AAAGES, as well as Show and Tell and Paper Piecing Party. Edited to add: The Kea pattern is now available from my Craftsy store. seriously- you are really on to something here! I love these! Those are gorgeous, I don't have the skill or time to test them unfortunately. Never done paper piecing and have a tonne of historical sewing, family sewing, knitting, spinning and also weaving to get done. What a gorgeous blocs and nice fabrics you used! I like to try some of them! I love that Kea! 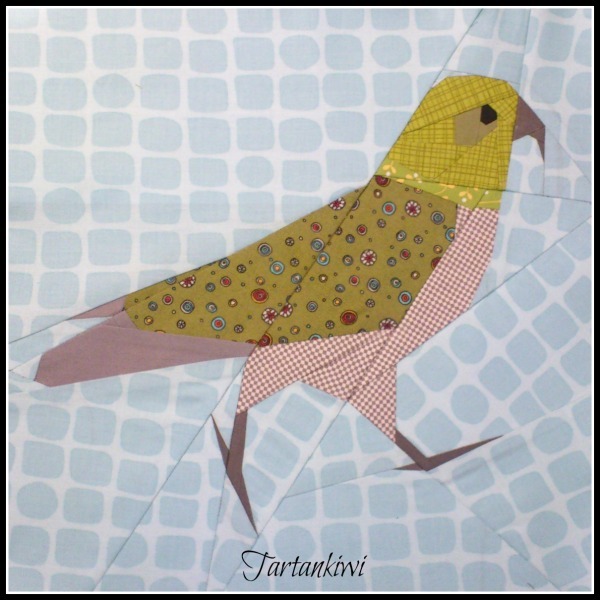 Both the fabrics on the bird and the background look great to me. These are looking fantastic! I think it's a great idea to have a series of native NZ birds! I love these, especially the Kea. Really stunning work. 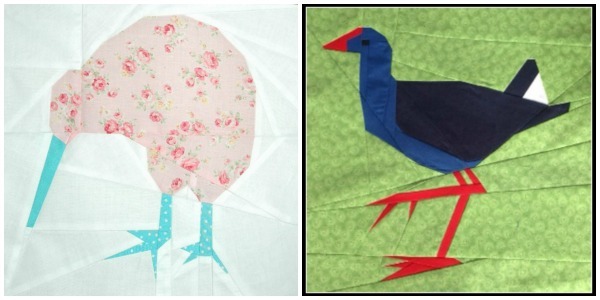 Awesome bird paper piecing ideas!! wow, what lovely birds and those paper piecings are amazing! I am super impressed, I am not sure I would even know where to begin! Love the bird made in patterns! Lovely!! I think the use of pattern on this Kea, really makes it!! I'm not sure whether solids would do it as much justice...and fantails!! just love working in the garden where the swoop in close and somersault in the air :)) Great to see all your patterns coming to life! Love them - and if you need a tester I would love to help any time. Great job!! 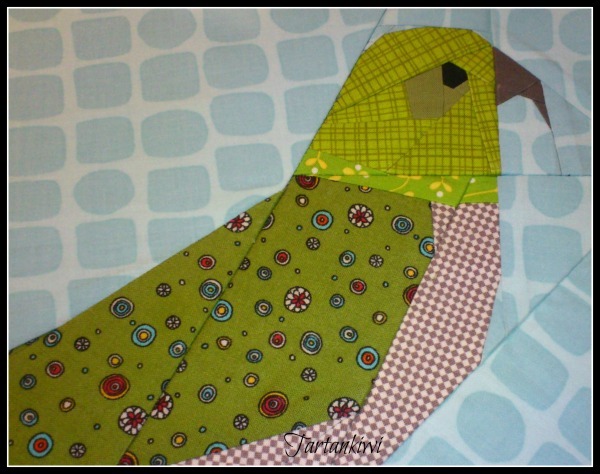 I love the patterned fabric for the bird. And would love to be a pattern tester too! These are all so cute! wow, i love your latest bird. it's amazing! Love the birds! I would be happy to test it out for ya. Oh bird lovers rejoice! NZ birds are so unique. Your pattern of the Kea really captures that cheeky walk. Be sure to let someone in National Parks and Wildlife know about your series. Wow, fabulous! Your birds look so real - incredible!